This page features a free printable Map Of Vermont. 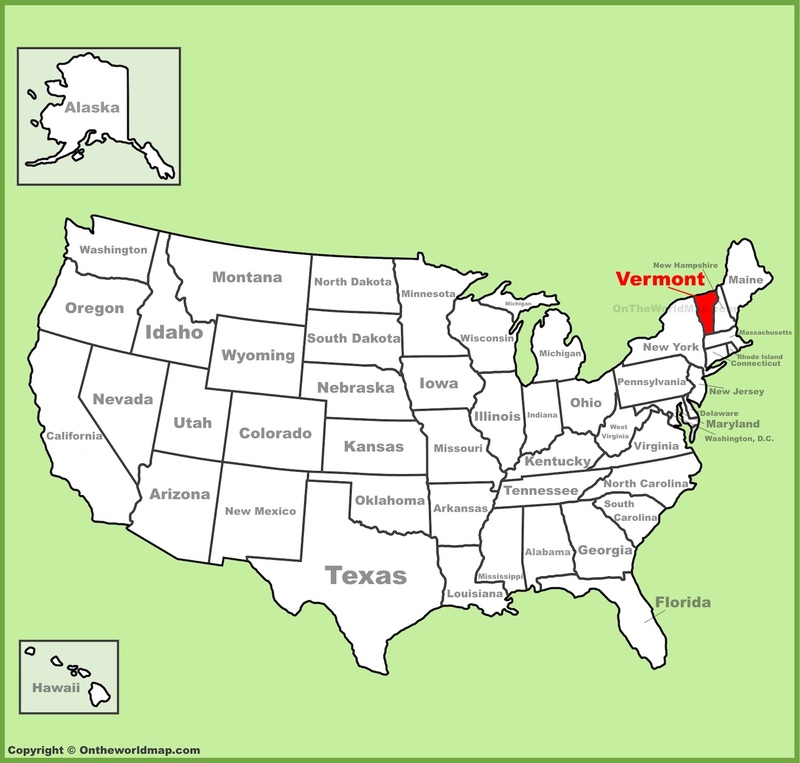 The above US map shows the location of the state of Vermont in relation to other US states. On March 4th of 1791, Vermont became the 14th of 50 states admitted to the Union. Scroll down to find fascinating facts about the state of Vermont. Vermont is home to the only US state capital that does NOT have a McDonald's. The state of Vermont produces more maple syrup than any other US state. Approximately 35% of all maple syrup sold in America comes from Vermont. The first Ben & Jerry's ice cream store opened in Burlington in 1978. The city of Vergennes, established in 1788, is the smallest city in Vermont, and one of the smallest cities in America. It is only about 2 square miles in size and has a population of about 2,500. Before Vermont became a state, it was its own country, which printed its own currency and outlawed slavery, among other things independent countries can do. Snowboarding got its start in Vermont, and the state is still home to the world's largest snowboarding company. Native tribes who once inhabited what is now the state of Vermont include Abenaki people. The coldest recorded temperature in the state of Vermont was 50 degrees below zero in Bloomfield, 1933. Wilson Bentley from Jericho, Vermont was the first person to prove that no two snowflakes are alike. His equipment included a microscope and a camera. The greatest snowfall for a single winter in Vermont was 26.5 feet of snow in 1970-71. 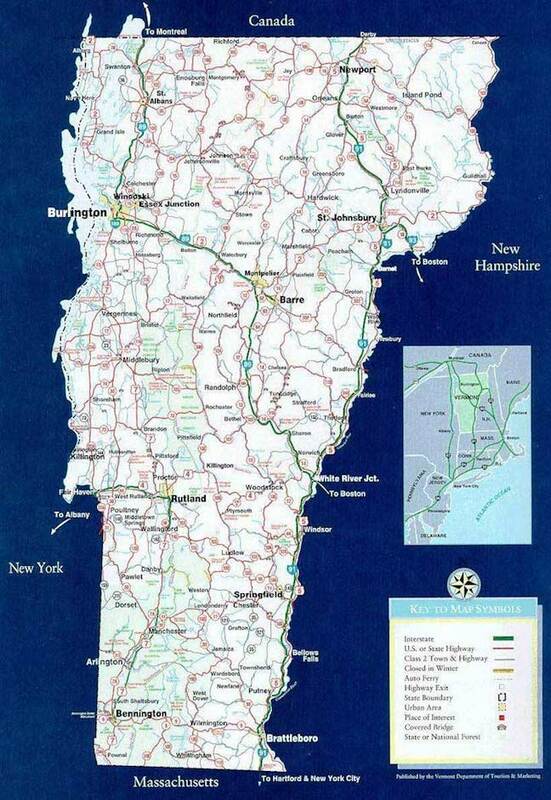 Above: A road Map Of Vermont.